My kids only suffer from allergies at the changing of the seasons. 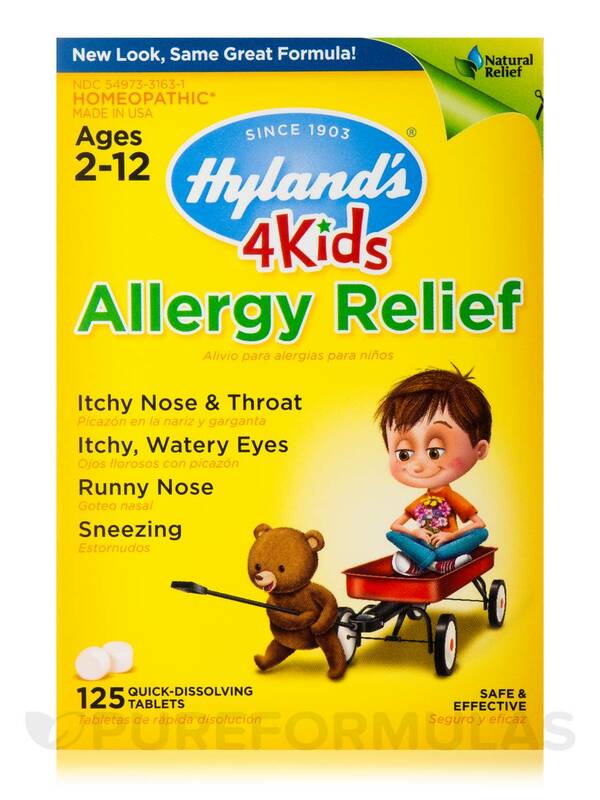 4 Kids Allergy Relief by Hyland's worked great for them. 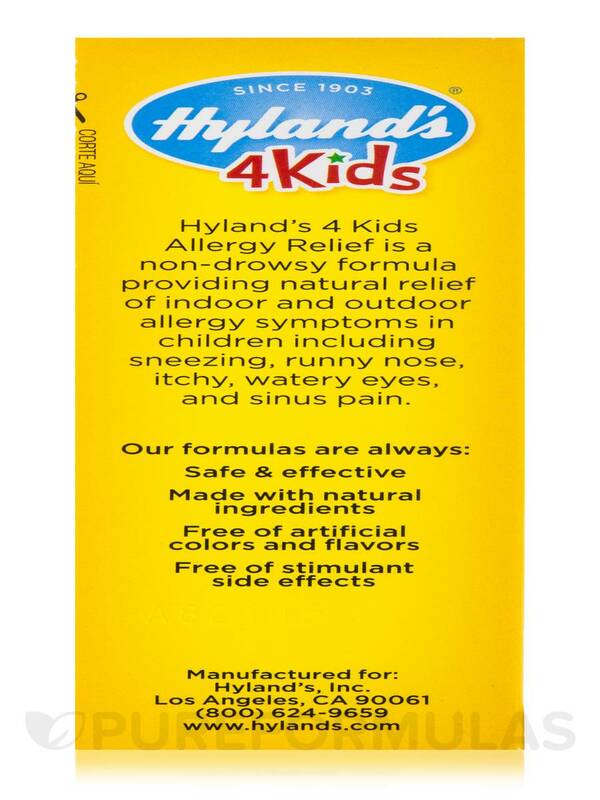 I bought 4 Kids Allergy Relief by Hyland's as I am always trying new stuff to see which works good and this works good! 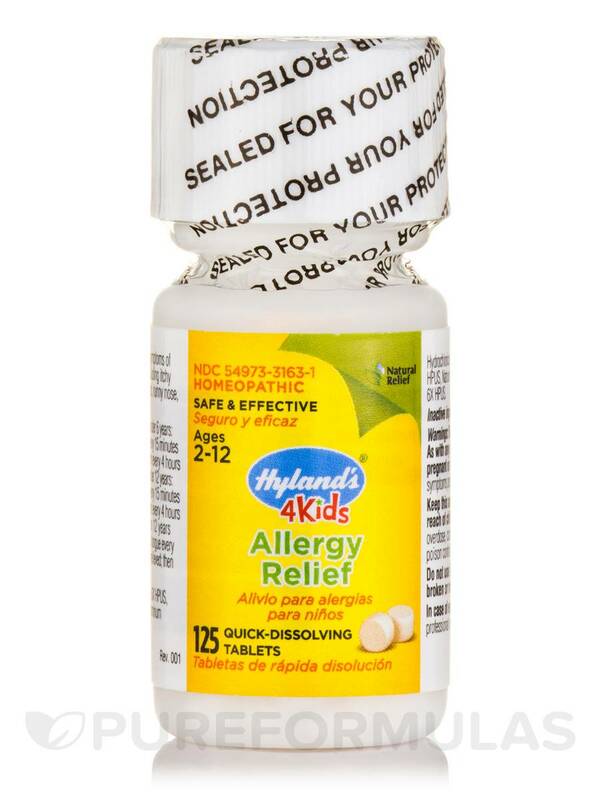 I get my allergies on a daily bases and this is so easy on my system, I love it!!! It's always the same desperate list of symptoms that include watery eyes‚ runny nose‚ stuffy nose‚ sneezing‚ and itchy eyes. It’s too much for a young body to endure. 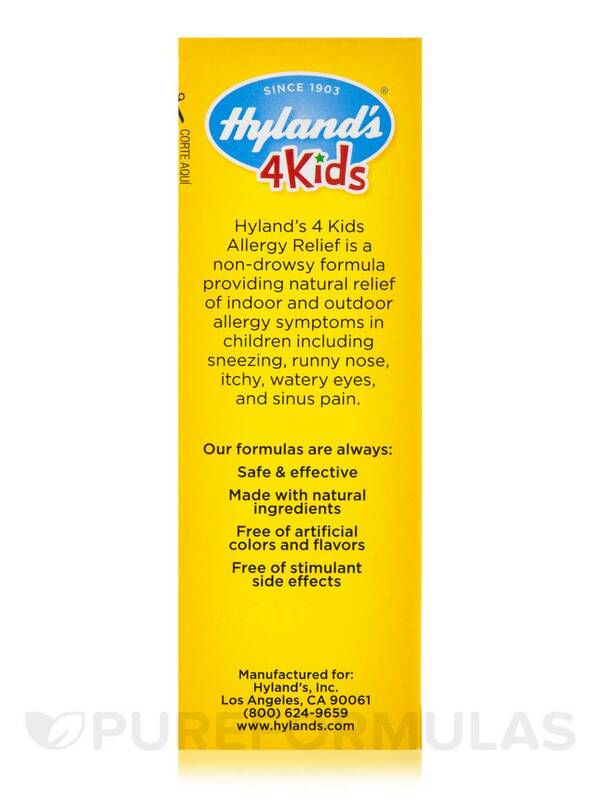 That’s why Hylands are so happy to provide Hyland’s 4 Kids Allergy Relief to soothe and diminish the body’s natural reaction to bad indoor and outdoor allergies. 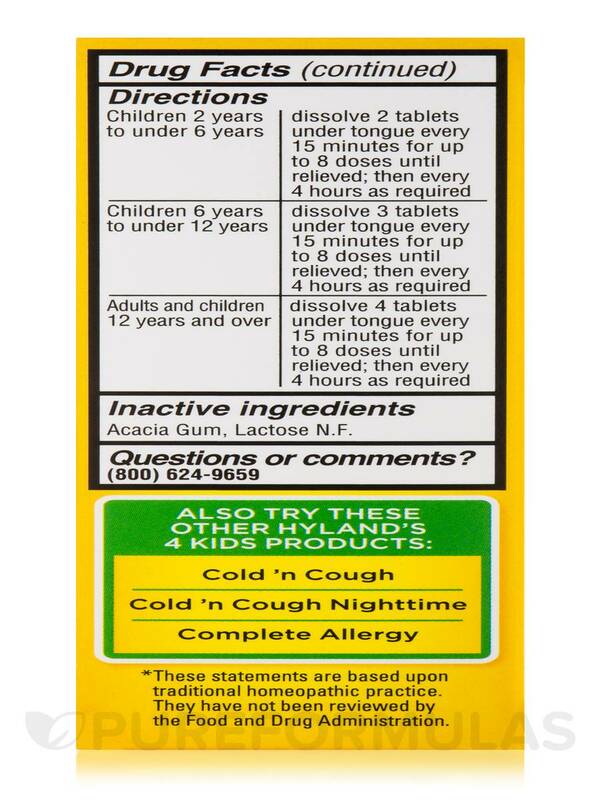 Its safe and effective formula is nothing to sneeze at! - Itchy Nose & Throat. Allium Cepa 6X HPUS / Hay fever‚ watery eyes. Galphimia Glauca 12X HPUS / Sneezing‚ runny nose. Histaminum Hydrochloricum 12X HPUS / Sinus pain. Luffa Operculata 12X HPUS / Sinus pain‚ headache. 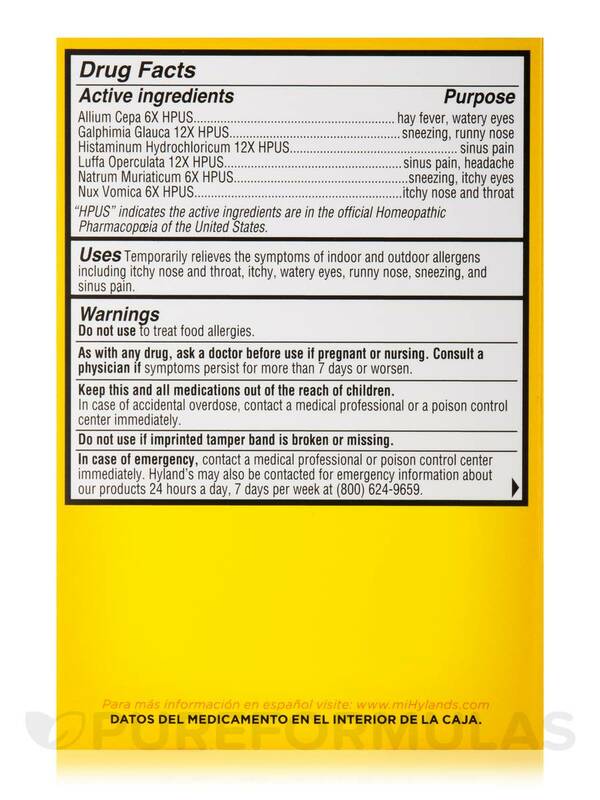 Natrum Muriaticum 6X HPUS / Sneezing‚ itchy eyes. Nux Vomica 6X HPUS / Itchy nose and throat. 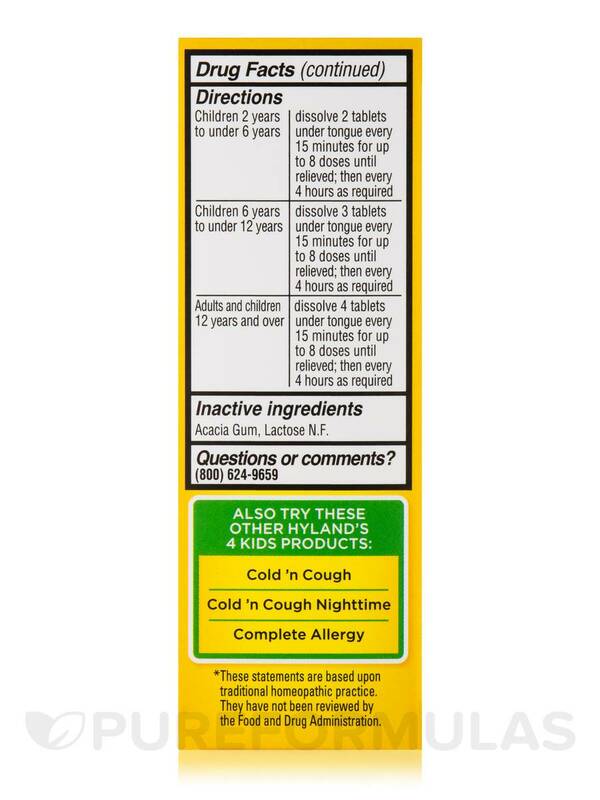 Inactive Ingredients: Acacia gum lactose N.F. 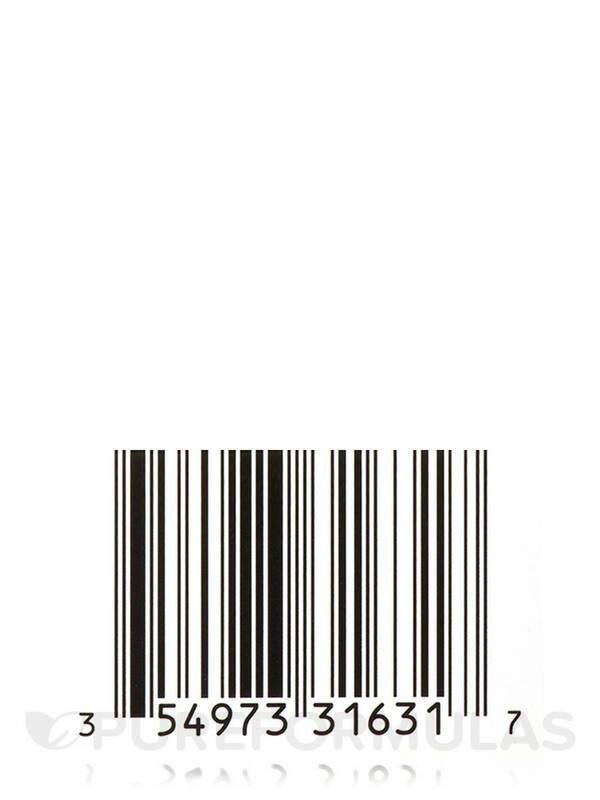 Made with Natural Ingredients / Free of Artificial Colors and Flavors / Free of stimulant side effects. As with any drug‚ ask a doctor before use if pregnant or nursing. 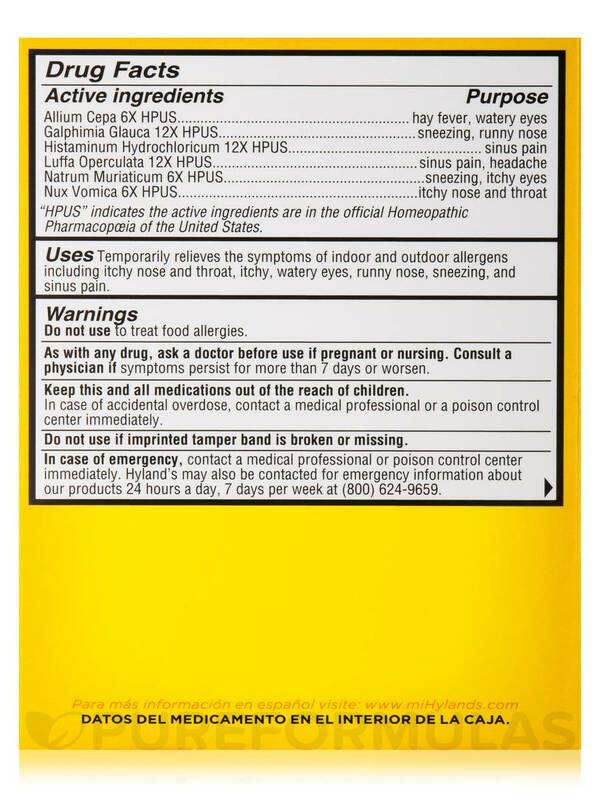 In case of accidental overdose‚ contact a medical professional or a poison control center immediately. 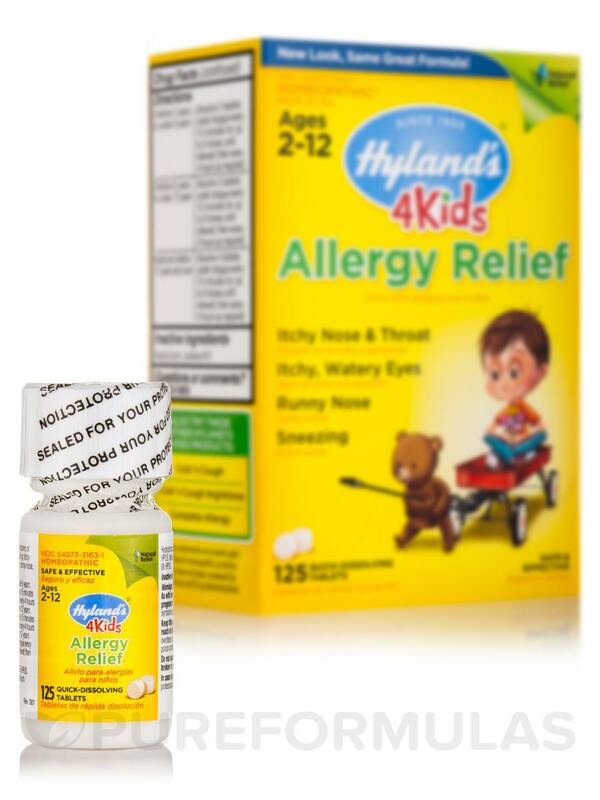 I use Allergy Ralief 4 Kid by Hylands all the time for my kids and works really well!